The 380 Fishing Sit on Top kayak is the pinnacle of all fishing kayaks. It is equipped with multiple storage areas for all your tackle including the large front hatch and a rear bungee area. The 380 Fishing Sit on Top kayak is the pinnacle of all fishing kayaks. It is equipped with multiple storage areas for all your tackle including the large front hatch and a rear bungee area. There is a twist style storage hatch in the middle of the kayak perfect for keeping your valuables safe and dry whilst out on the water. 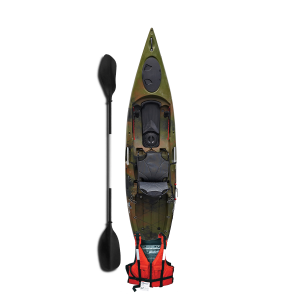 The 380 Fishing Sit on Top kayak has multiple areas with fittings for an optional fishing rod holder such as the #4018 which can be found here. 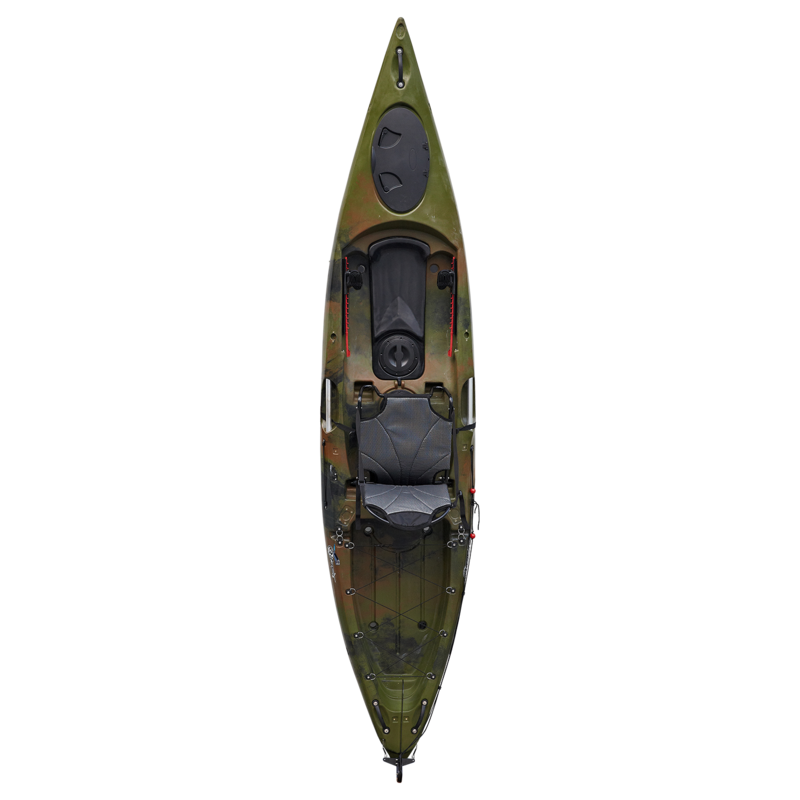 The 380 Fishing Sit on Top kayak also has a premium, fully adjustable raised seat included which gives you the perfect vantage point to fish from. This seat is removable if you want to just go out for a quick paddle giving you the best of both worlds. 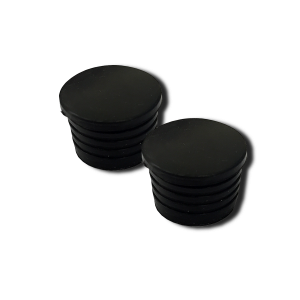 There are also adjustable footrests with swivel foot straps and robust metal side carry handles which can also be used to chain the kayak up if storing outside. 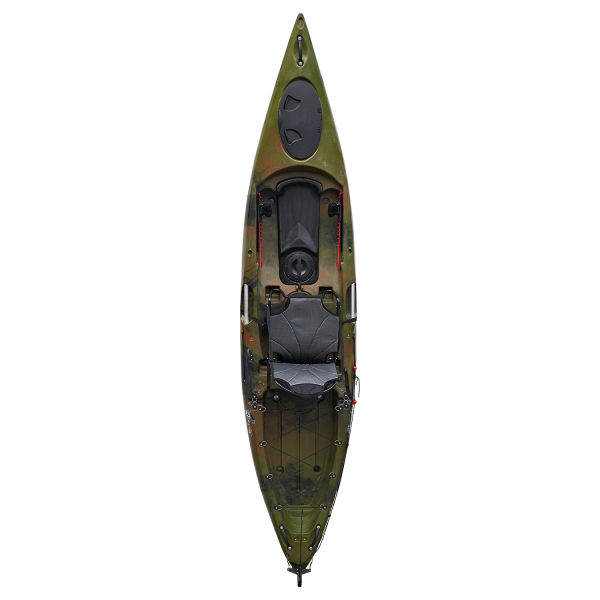 The 380 Fishing Sit on Top kayak has a full rear rudder system allowing you to control the direction of the kayak whilst just paddling straight. There is a large, removable central storage compartment which can be used as a bait box. 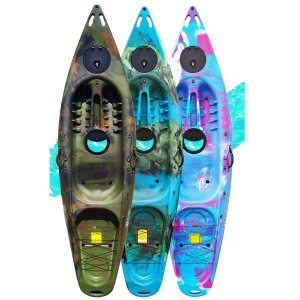 This is conveniently located in the middle of the kayak and has a twist style hatch opening for easy access. Alternatively you may wish to consider the discount we offer for buying this item as a starter pack. 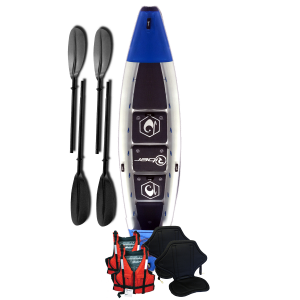 A starter pack comes with the 380 Fishing Sit on Top kayak, a buoyancy aid and a paddle, it can be seen here. The 380 Fishing Sit on Top kayak has a very shapely hull making it perfect for cutting through waves whilst out at sea. Equally it will perform brilliantly whilst on rivers, lakes and canals. This kayak is very stable and both the keel and rudder system help you track through the water effortlessly.